Give the gift of sewing for any special occasion. Available in any dollar amount with a $20 minimum. You can choose to receive your certificate electronically, pick up in person boxed & bowed, or I will print, box, bow and mail to you or your lucky recipient. 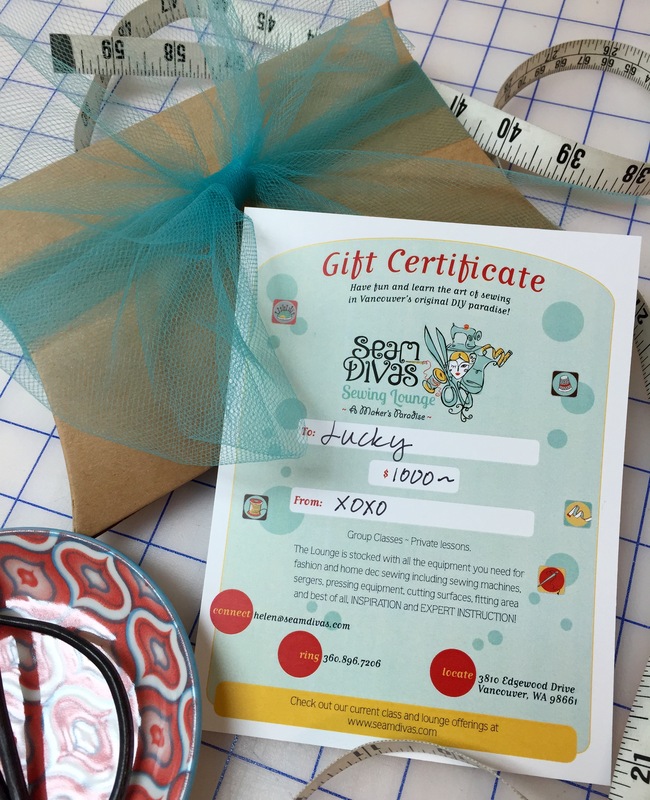 Leave your specifics in the comments box when you check out or email me at helen@seamdivas.com. Please allow 5 days for processing shipping requests.